WACO, Texas (May 3, 2013) - Baylor University alumnus Randall Fowler of Abilene, Texas, is one of four Baylor students and recent graduates who have been selected to receive the prestigious Fulbright Scholarship. 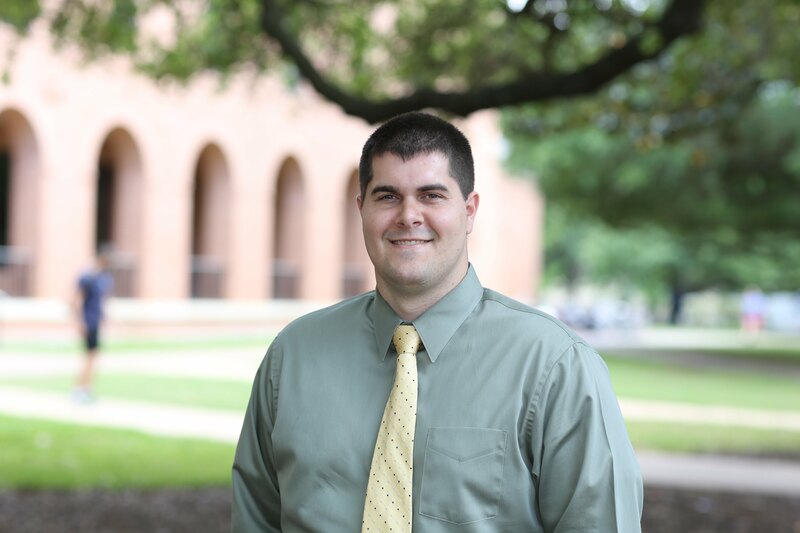 After earning his degree from Baylor in religion and communication in 2012, Fowler has been serving as an AmeriCorps VISTA in Baylor's Office of Community Engagement and Service. He received the Fulbright English Teaching Assistantship (ETA) and will spend the 2013-2014 academic year teaching English in Jordan. Randall Fowler: Having applied last year and been placed on the alternate list for a Fulbright Award to Jordan before ultimately withdrawing from competition, I understood that I might not receive news for some time. However, the way in which I discovered I had been selected for a Fulbright Award can only be described as providential. As many in the Baylor family are aware, we lost an incredible student and servant in Daniel Jones who passed away suddenly in March. Daniel was my closest friend at Baylor. Daniel's family asked me to say a few words at his funeral, and I actually received the email alerting me that I had won the Fulbright after I finished speaking (I did not see the email until going home later that day). While I do not claim to understand God's timing, I have found much spiritual significance in finding out about Fulbright - going overseas is something I have felt called to for some time - in the way I did. And although it will be difficult to leave the Baylor community that has supported me in so many ways during this challenging time, I take comfort in knowing that Christ has a perfect plan for my life just as he did for Daniel. Baylor Media Communications: Why did you decide to apply for the Fulbright and why did you choose Jordan? Randall Fowler: I visited Israel the summer following my freshman year at Baylor through my home church in Abilene, and was quickly infatuated with the cultures, peoples and places I saw while there. Upon returning to Baylor I decided to minor in Arabic. I became more fascinated with the Middle East with every class I took. The next summer I spent 10 weeks teaching English in Addis Ababa, Ethiopia, and I loved every day living overseas. When I found out about the Fulbright program and that I could apply for an English Teaching Assistantship Grant, it seemed like a perfect way for me to combine my passions for living overseas, teaching and the Middle East. I chose Jordan for a myriad of reasons, but one of my primary motivations was that the Jordanian people and government highly value education. Jordan does not have oil or other natural resources like many other Arab nations, so it has sought to build its economy through innovation and education. As an English instructor, I will have the incredible opportunity to be a part of this mission and pursue other community development initiatives as well. Baylor Media Communications: What will you do in Jordan? Randall Fowler: I will be teaching English for 25-30 hours a week, and I hope to spend the rest of my time supporting community development initiatives to help refugees, minorities and the poor. This past year I have worked as an AmeriCorps VISTA in the Baylor Office of Community Engagement and Service supervising student volunteer initiatives. My position has given me invaluable experience working alongside many Waco nonprofits and other community agencies, and my desire is to apply what I have learned here while in Jordan. Baylor Media Communications: Why did you decide to come to Baylor for your undergraduate study? Randall Fowler: Although I was accepted at several other universities, I ultimately chose to attend Baylor as an undergraduate because I had seen how my sister Bethany flourished while in Waco and because I was attracted to Baylor's mission as an unabashedly Christian, top-rate institution of higher education. When the opportunity arose to work in the Office of Community Engagement and Service upon graduation, I quickly jumped at the chance. As a former Kappa Omega Tau Service Chair, I love that I get to influence how Baylor students interact with the Waco community. Randall Fowler: Right now I do not have any clear-cut plans following Fulbright. No matter what I do, however, I know that the primary purpose of my life is to give glory to God by sharing his love with others in whatever form that takes. I can see myself enrolling in graduate school at Baylor or elsewhere to pursue a career in higher education, but if a chance comes up to stay in the Middle East and work for a Non-Governmental Organization or other nonprofit emerges I might pursue that option instead. Randall Fowler: As a double major in Religion and Communication Specialist with a minor in Arabic, I was fortunate to take classes under a diversity of professors. As such, there are several faculty members who made a profound impact on my life. Dr. Abjar Bahkou in the Arabic Language Department not only taught me how to read, write and speak Arabic, but was also a very positive influence on my spiritual development as well. Dr. Rosalie Beck and Dr. Bill Pitts in the Religion Department gave me an understanding of the world and Christianity's role in it for which I am deeply grateful. Dr. Blair Browning and Professor Jane Damron of the Communication Department also strongly influenced me by building relationships with me, and they both helped inspire me to make a positive difference in the world. In all, I am very thankful for the Baylor faculty members who helped shape the person I am today. Dr. Abjar Bahkou, Ph.D., lecturer in Arabic: Randall was my student for almost three years, taking second- and third-year Arabic with me. I have known Randall inside the classroom and outside also. I remember him coming to me office, and we would have conversation about subjects related to his classes in religion. When he wanted to apply for the Fulbright, we went to lunch and he asked my advice about what countries are suitable for what he wants to do. I enjoyed having Randall in my class, and I appreciate and value his Christian character and commitment to our Lord Jesus Christ. 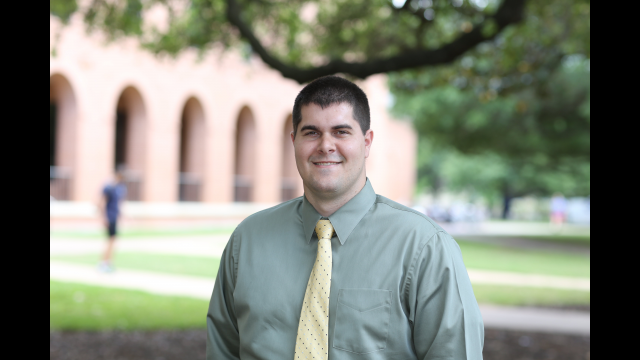 Rosalie Beck, Ph.D., associate professor of religion: Randall Fowler is a gifted student who has developed into a well-rounded person during his time at Baylor. His commitment to make a positive difference in the world has strengthened over the years, and I believe that whatever he chooses to pursue, Randall will be successful. Baylor should be proud of having provided him with life experiences and intellectual opportunities that he will utilize for the rest of his life. I look forward to watching Randall develop even more into the person God has called him to be. William L. Pitts, Ph.D., professor of religion: I was so pleased to learn that Randall Fowler has been awarded a Fulbright Scholarship. Randall is one of the brightest students I have ever taught. He is also kind, compassionate and deeply devoted to the service of other people. The Fulbright Committee doubtless recognized the high standards Randall has set for himself and has already achieved. Baylor has much to celebrate these days, but I can think of no finer recognition of academic excellence than Randall Fowler's Fulbright Award. Congratulations to Randall and to Baylor. Blair W. Browning, Ph.D., assistant professor of communication: Randall has stood out to me since I first met him as he is a gentle giant. He stands tall and confident but is also a kind, caring guy who has one of the biggest hearts for service in a person that I have ever encountered. He is a brilliant young man who is also conscientious, ethical and personable, so in other words, it is not surprising to see him receive this amazing honor of a Fulbright. He is truly one of Baylor's best and brightest and he will be an unbelievable representative of Baylor while overseas. Everyone who is associated with Baylor can be proud of this alum, and I'm thankful I have had the opportunity to work with and to know him the past few years. Jane C. H. Damron, lecturer in communication: I could not be prouder of Randall and all that he is accomplishing. He is wise and capable beyond his years, driven and dedicated in all he does, with an enormous heart for others. I look forward to charting his progress in Jordan and beyond - he will no doubt distinguish himself wherever he goes. Our department is honored to call him an alumnus and I consider it a privilege to have known and worked with him while he was a student at Baylor.